ABC has done it yet again! It has brought viewers another heart wrenching, suspenseful, and can’t stop watching show. 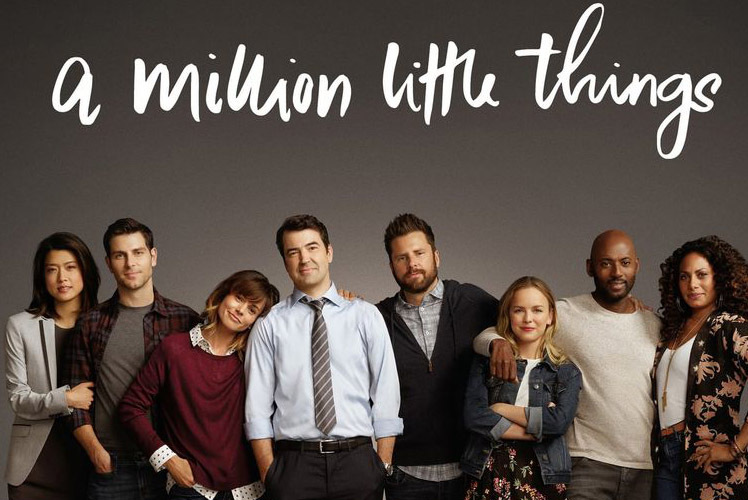 A Million Little Things snatches your attention from the very first episode after an unexpected death among a close knit group of friends changes their lives forever. It pulls at your heartstrings and follows the characters through the highs and lows, ups and downs, that is called life. The show first aired on September 26, 2018 starring Stephanie Szostak (Iron Man 3), Allison Miller (13 Reasons Why), James Roday (Psych), David Giuntoli (Grimm), Grace Park (Hawaii Five-0), Romany Malco (Think Like a Man), and Ron Livingston (Office Space). It finished its first season at the end of February and was just renewed for a second. This show reminds us not to take life for granted because in an instant it could be taken away from us. It reminds us to love the people in our life dearly and to check on your seemingly happy friends after the friend that was the rock of the group, and always lifting all of them up, commits suicide. This is where the show begins and the group of friends spend the first season desperately searching for answers as to why he did what he did while dealing with all of their own issues. The friend that commits suicide leaves behind a pregnant wife and two teenagers and all of their friends step in to help out the family after his death. The death of the friend reveals so many secrets about his life that none of them knew and each episode brings a new piece of information. Life is about juggling so many different emotions and situations and this show brings all the aspects together for an intriguing plot that leaves viewers needing more. It immediately reminds us how quickly life can change and how it may never be the same. The season finale ended in typical fashion, with a cliffhanger for questions to be answered at the start of season two. It left relationships in question and urgent situations unresolved. Viewers will anticipate answers in the season two premiere which is projected to be sometime this fall. PREV Block your Schedules for "On My Block"